If I had a restaurant or cafe, I would be sure to have arepas with a large list of different toppings on the menu. Salmon with avocado would definitely be on that list! What a delicious combination. 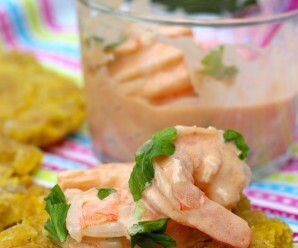 For this recipe I made small arepas to serve as an appetizer and I really enjoyed them. In a bowl, toss together the salmon,1/4 cup grated onion, cumin, paprika,1 tablespoon lime juice and mayonnaise. Season with salt and pepper and toss to combine. Set aside. Cut the avocados in half, remove the pits, and scoop the flesh out of their shells into a small bowl. Add the lime juice, hot sauce, remaining onion, garlic, salt, and pepper and toss well. Mix well and taste for salt and pepper. 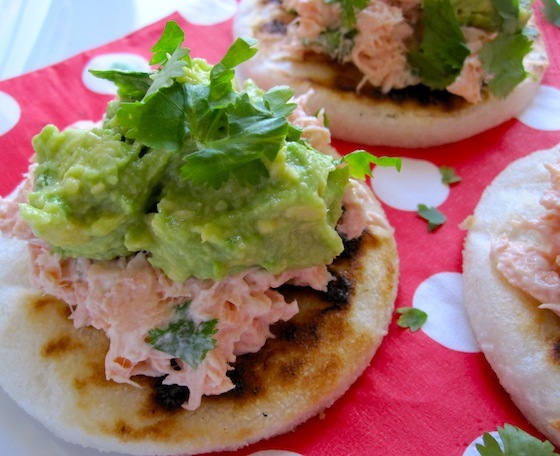 To assemble: Place the arepas on a platter and top them with the salmon. Add avocado mixture on top of the salmon. Season with salt and pepper, to taste. Add fresh cilantro on top and serve. These are beautiful – not to mention chock full of omega-3s! Your arepas look so tasty, Erica! 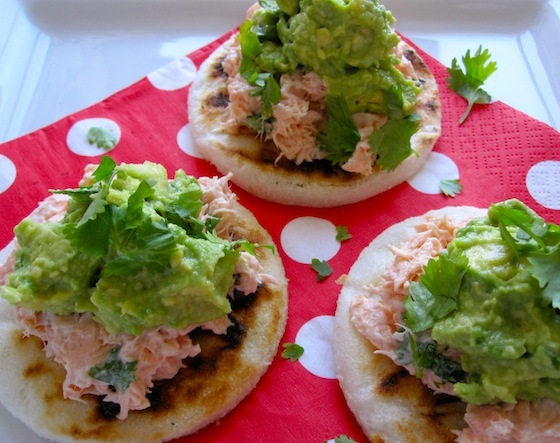 I love salmon and avocado in there! Oh good another great idea for arepas. I love this one, healthy, colorful and delicious! for me, that’s healthy recipes, i like it. the combine of alvocado and salmon make me fallen love with it.. 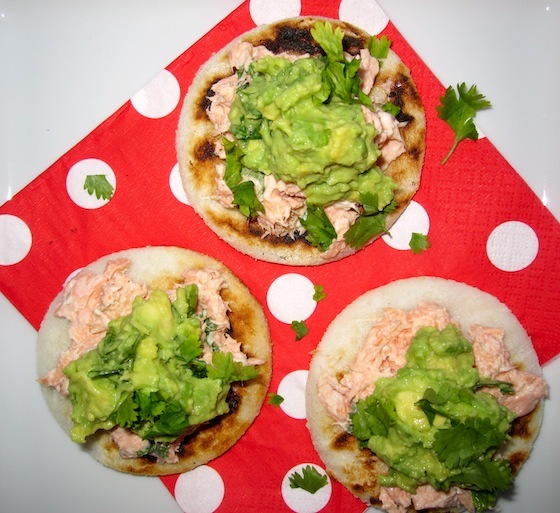 These are so fab looking…I love my arepas..thanks for the recipe. 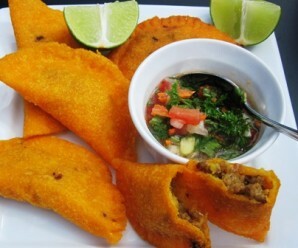 What great arepas…love the pics. Simplemente me encanta! No se hubiera ocurrido prepararlas así!